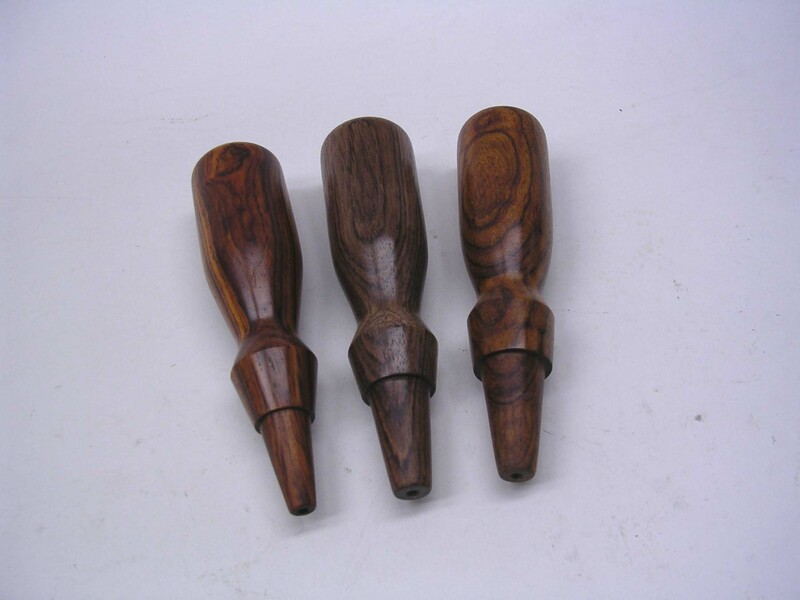 Price – $18.00 each Custom made socket chisel handles made from cocobolo. Hand turned in the Stanley #750 pattern. The finish is hand polishing to 1000 p grit, oil rubbed and waxed. New springs to replace the originals on Ryther’s patent chucks as found on the Millers Falls eggbeater hand drills. 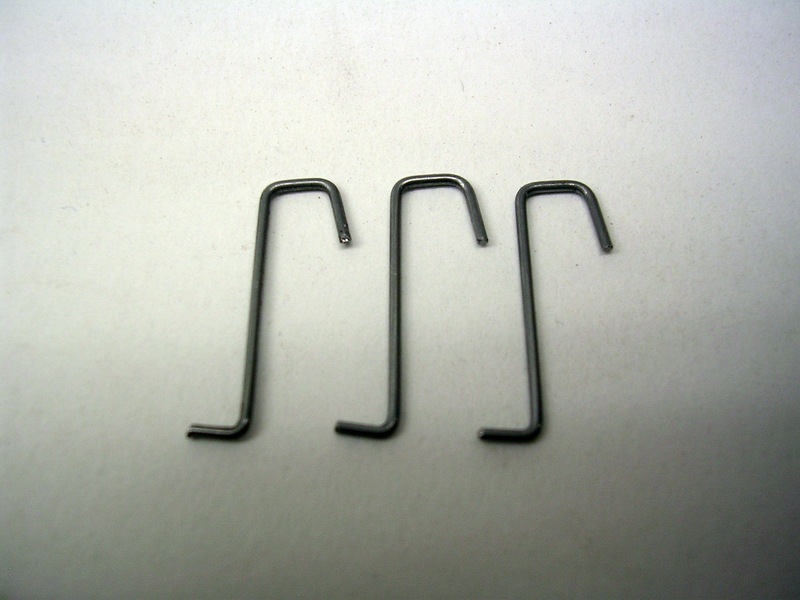 Price – $12.00 per set of 3 springs. Stanley #720 chisel with new hornbeam handle. 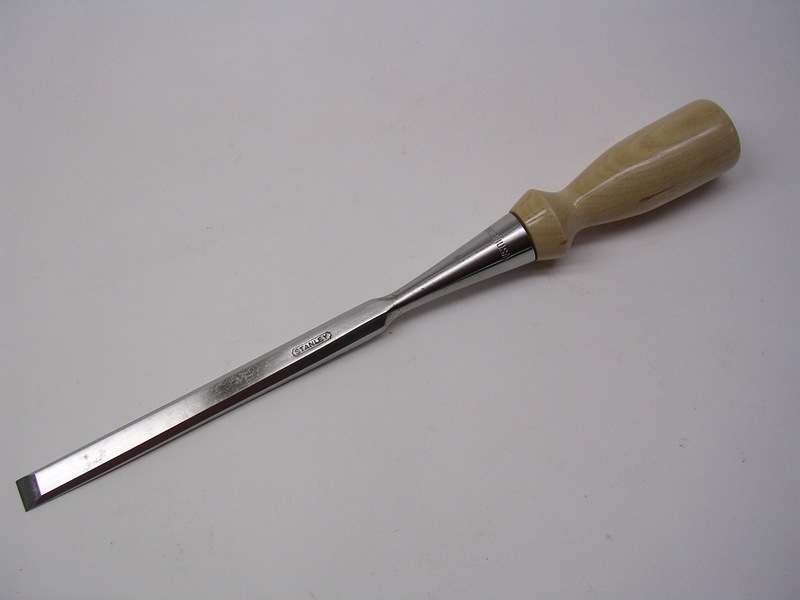 this chisel has had the back flattened, the bevel ground to 23º and the secondary bevel honed at 25º to 8000 grit. Stanley #2 knob & tote set in walnut. 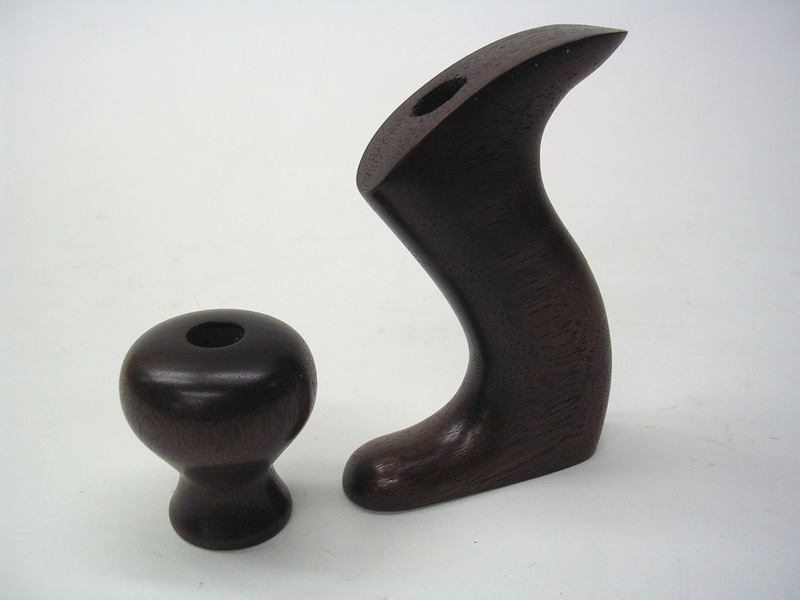 I would like to order one of your cocobolo 750 chisel handles. Please let me know what I need to do to order. Thank you for visiting my blog. I sent you an email regarding your request. Hello, I am very interested in your chisel handles in cocobolo. I have 6 lie nielsen bevel edge socket chisels and I would like to replace all the handles in cocobolo. My chisels are based on the stanley #750’s, will your handles be compatible with my chisels? Hello Freddie, The Stanley handles are not the same as the LN’s, and even with the Stanleys it is best to fit the handles to each individual chisel. I would need your chisels without the OEM handles to ensure a proper fit. I am interested in ordering one of your cocobolo wood handles. Please send me order details. Email me of the Cocobolo chisel handles are still available, I need at least 10 of them, but really want leather washer ends. I own a Miller falls no. 2 drill missing the side knob. I saw that you have made these in the past. I’m looking to restore the drill to working order and wood like to find a nice replacement for the missing knob. Do you still make them and have one for sale? I am restoring my Grandfather’s Stanley Bailey #5 Plane and need a Knob bolt. The Knob is 2-3/4″ high and I believe its a 45Mm screw. Do you know where I can purchase one?